● Though paid members at Animal Jam have access to more in-game activities and customizations, it is free to play. ● Memberships may be purchased for one-month, six-month or one-year periods, with the pricing of longer-term membership commitments reflecting a free month every half year. ● When purchasing gift certificates for the “gems” and “diamonds” used as in-game currency, the per-unit pricing is reduced as you buy more items. ● Price reductions may occasionally be available on select gift certificates and play packs at the online store. ● When purchasing an accessory at the Animal Jam store, you may be entered into a random drawing for a week of free game membership. 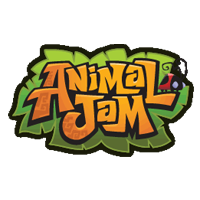 Animal Jam is a game developed by National Geographic that is designed to help children and students learn more about animals that you would find in the wild. It is a completely free browser-based game, meaning that there aren’t any files that you would have to download to your computer in order to be able to play. When you land on the website you can click “Play Now” and then you will be prompted to create an account or to log into an existing account. There are various animals that you can choose from if you’re a new player ranging from koalas to lions. For most up to date offers check out Animal Jam on Facebook and Twitter or contact Animal Jam Support for any questions.